When I graduated from Gymnasium (~prepschool) I had a small issue. I wanted to apply to the Cologne Game Lab, however I had only found out about it, after I had already missed the application process for the first year. I finished school in June, and the registration deadline for the application process was in march, and there was only one registration per year. So I decided to look for an internship to fill the time between then and the next application process. I eventually landed an interview for an internship at the Publisher Headup Games in Düren. I was asked to decide on whether I would want to support the engineering or publishing side of the company, and chose the engineering side, as my goal was to develop games. I was given a simple task to show I was capable in programming, I had to make a “simple Moorhuhn Clone” game. I picked up the basics of Unity, and delivered the game within a week (see the game). They were satisfied with my results and the Internship was green-lit. I had about a month remaining until the internship would start, so I played around with Unity some more. I mostly followed the tutorials on the websites, and made “Mensch ärgere dich nicht” / Parcheesi in the engine. During the internship I worked on a bunch of different games and some other stuff too. I’ve recollected as much as possible from mails and my memory, now three years later, and wrote them down in chronological order. While Headup Games didn’t have an in-house development tean, at least when I was there, but they did port some of their games in-house. During my time there, I also tried my hand at porting. 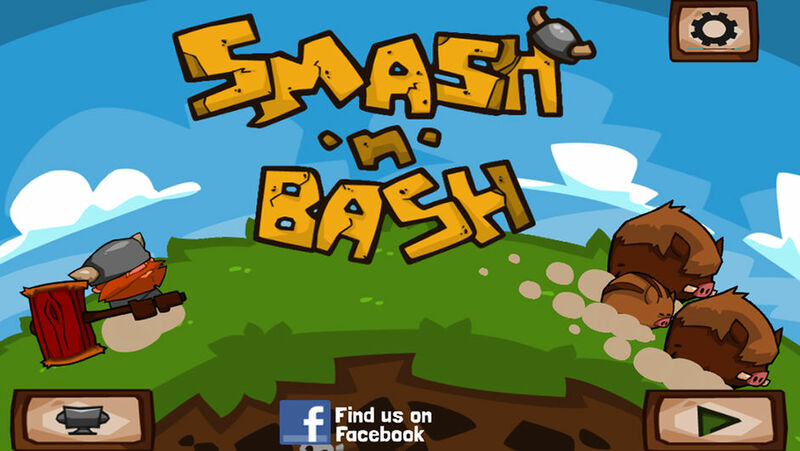 The Smash’n’Bash port was probably the single task that I spend the most time on during my internship. Smash’n’Bash had been released on iOS, and Headup wanted to release it for the PSVita. I was given complete authority over the process. On the technical side, this included adding button and joystick controls for the game, including ui navigation, where it had only been touch previously. I also implemented an achievement system from scratch, as Sony requires all games to have trophies in the game. I had to come up with sensible achievements for the different categories (bronze to platinum) and create certification-compliant triggers to unlock the achievements. On the design side, in addition to designing the achievements, I also had to change the monetization model from F2P with MTX to a premium game, so I had to rebalance the upgrade currency economy in the game. On the publishing side, I dealt with certification of the game for the Playstation store, as well as the store, and the trophy pages. The certification process unfortunately took so long, that my internship ended before the game could be published, and so it didn’t end up on the store. If I’d had another three or four weeks, we could have probably released the game. Bunker Constructor was a mobile game made with Unity. I spent a week or two getting the project up and running on pc, and dealing with some of the visual aspects of porting it; ui size, and aspect ratio. I think I ran into a dead end at the time with the physics and collisions. Fixing that would’ve required me to get a lot deeper into the game code, and learn more about the engine, and it was decided that I should focus on something else instead. I was happy to find that the game has now been released on Steam. While this was not really a port, I’ll mention it here anyways. The Second Guest was a point&click adventure game Headup Games published. The game was supposed to be a five-part episodic mystery series, however the second episode was never made, due to complications with the developer. Headup wanted to see what could be salvaged from a project files they still had and asked me to get it back to the state in which it was released. After that, they would think about perhaps continuing the series. The game was made with the Visionaire Studio Game Engine so I learned that engine as I recreated the game. We had a release version of the game in the office, and I used that as a reference to recreate the missing content from the older project files that Headup had on their servers. I got everything up and running, except for a few voice lines that were missing. As of yet, the series has not been continued. I made a few prototype / proof-of-concept projects during my time at Headup Games, none of which however were made into a full game, unfortunately. My first task at Headup Games was to create a Prototype for the game a boardgame developer wanted to make into a digital game. The game was about the travelling salesman problem and should be on mobile. I created the game from scratch in Unity, and implemented several levels. The player could move between nodes, and the path they moved was marked. The player could also undo every move they made. I believe I implemented four or five levels. The game was initially without any art, but I was later asked to think about a setting, and I came up with a pizza service setting, where the player would have to deliver the pizza to different houses in the shortest path possible. I also added building and road models to the levels, to make them visually fit the setting. 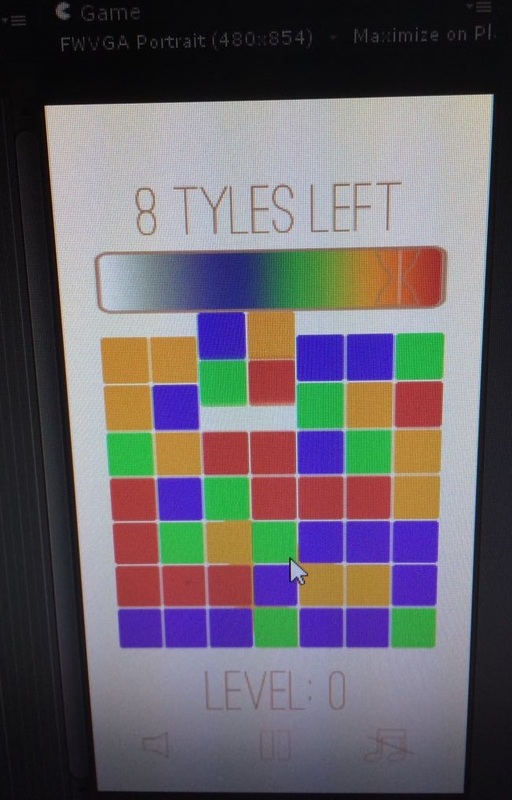 Tyles was a game that Headup’s CEO himself wanted to make. The Goal was to make a comfortable and pretty game that put a little spin on match-three games. Instead of three-in-a-row, the player had to match four tiles in a 2×2 field, and instead of switching adjacent tiles, tiles could be rotated around the center of a set of four tiles. Development on Tyles span over a period of two months or so, improving and polishing it whenever I had time to work on it. 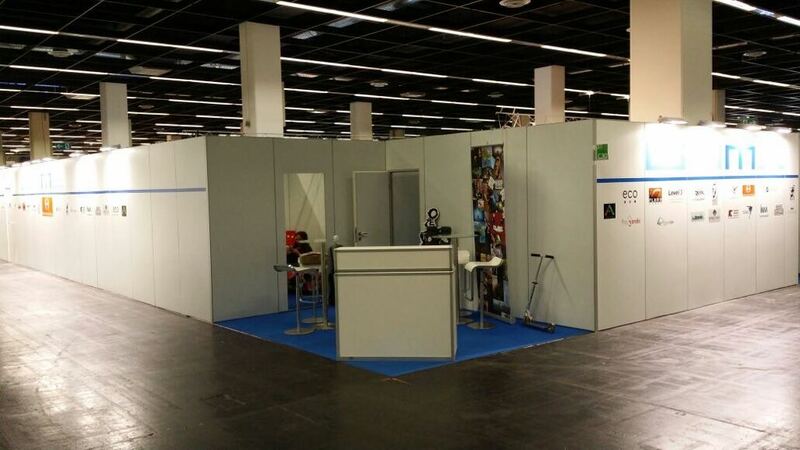 It gradually went under in the preparations for Gamescom, and has not been published. Headup Games being a publisher, I helped out with a lot of publisher work over the course of the internship. I helped manage store pages of different games on the App Store, the Google Play Store and Steam, which were generally simple things like setting up achievement icons and proof-reading and copy-pasting texts. I proof-read most of the press releases in the second half of the internship. Occasionally I sat together with PR and we wrote / edited the texts together. I helped with the mailing lists a few times. At one point I combed through around a hundred and fifty or so mails from influencers. Headup had asked them what kind of games they were interested in, so I read through those mails and noted down their names and mails and interests into the already enormous list of contacts, while also checking these lists for duplicates. I helped sending the mails out a few times, while the PR Manager was out of office for a while. Nightbanes, now discontinued, was a Collectible Card Game heavily focused on PvE. The game had been running on facebook for a while, and was then about to launch on Steam. There were a few different things I worked on. Originally I was asked to playtest the steam version of the game, and have an eye on balancing the rewards in the game. I was in contact with the developer and gave my suggestions to them. One of the suggestions I made was to add flavor text to the cards, to make them more attractive to the player. The developer liked my suggestion of adding flavor text to the cards but they didn’t have time to write them, so they asked me to do it instead. Nightbanes had a lot of established characters and locations, however there was no “Book of Lore” or something like that. In order to write the texts, I looked at everything the game had to offer in detail, the different locations, named characters and unique cards. Also the way Quests were given, cards were unlocked and how the multiplayer aspect was presented. From all this I wrote flavor texts that sometimes referenced other cards, or locations in the game, or events like the halloween or christmas specials. At some point the developer decided it was less work if I wrote the flavor texts directly into the game’s databank myself, so I did that. At some point I also helped out with support mails, refunding purchases or restoring corrupted data for users. Headup and the game’s developer wanted to create an official wiki for the game, and I was put in charge of filling it with content. While the card-specific pages were an obvious go-to I also decided to write pages for mechanics in the game to act as a tutorial, and for explaining keywords on the cards. There was no game design document for this, so I had to analyse the game directly and go from there. While the Gamescom was, strictly speaking, after my internship had ended, I was working at Headup’s booth in the business area for the duration. The booth was part of the larger GAME booth, but it was open in the back, so we had a lot of “walk-in customers”. I stood at the front with another member of the team for most of a time, greeting people who had appointments, and looking at a few game prototypes which developers who were looking for a publisher brought. Although it feels like I mostly redirected people to the main entrance of the GAME booth – in retrospect it was a bad choice to make our own entrance to the booth. Either way, Gamescom was an exciting end to the internship, and I’m happy I got to go. The booth, I spent most of my time at that front desk. Headup Games allowed me to try out a lot of different things during these six months, which proved an amazing and helpful experience to me. I learned how relaxed the game industry as a whole is, at least in terms of interpersonal communication. I also gained insight into publisher-developer relations and learned a lot of terminology all of which helped me out during my studies later on. Trying out a lot of things did however mean that I couldn’t fully focus on the tasks I worked on, which meant that I couldn’t finish any of the programming tasks I did. I still regret this, and I really wish I could’ve published Smash’n’Bash for the Vita. As it stands it feels like Headup Games did more for me than I did for them. I’m still occasionally in contact with the guys from Headup, I usually manage to meet some of them at Quo Vadis and such, and I always say hello at gamescom and catch up with recent developments.